USA Translate has come up with a number of the most important languages for business that you should be aware of if you want to successfully expand to other countries. This year has brought with it a simple realization that languages other than English are very important indeed. Many countries that are becoming major players in the international business do not speak English nor have any interest in learning. There are many other regions where the speakers of English are many and readily available, but the country requires an understanding of the local language because the business dealings need an understanding of the language that facilitates dealing with local cultures. These languages are important because business in those regions is an important part of an international businessman’s job. USA Translate has compiled the list of the most important languages to help a new international businessman understand the markets that are filled with both consumers and labor for them to tap into. Using translation services for these languages will definitely push your business in the right direction and with a strong base. Why should you use translation services? The language of Malaysia is also spoken in almost all of Asia Pacific. This means that most of the Asia Pacific can be dealt with much more effectively if one learns Malaya and finds an effective way to interact in this language with the locals. Asia Pacific is a strong hub of business with many businesses being run from here in the form of outsourcing. As there is an incredibly strong labor force that can be harnessed from this region, this also makes Malaya a language that one should consider learning and mastering so that one may be able to interact with locals while doing business in the region, thus, Malaya is one of the most important languages to consider for translation. Japanese makes it into the USA Translate list of the most important languages exclusively because of their dramas and anime. They are the new groundbreaking discovery of the modern media buyer and are incredibly famous. There is an actual fan base of Japanese content that is using Japanese translation right now only so that they can tap into the region and watch these shows in their original language rather than the voice-over and subtitles. This is the kind of fame that was a bit unheard of a while ago. But the reason that these shows have gained such traction is because they are here with great story line and a modern take on human nature and perspective. They take the ancient wisdom of the Japanese people and bring it forth to a modern audience in a modern way for them to enjoy. French will always be the second international language. There are many foreign speakers of French who speak like a native speaker. French movies are famous for their quality content and France is still an incredible market for the consumer. But more significantly, it is spoken by the African mainland. Every African region either considers Arabic or French their second language. If a businessman is well- versed in these two languages, then he has conquered Africa. As Africa is emerging as the new hub of resources and a stronger name in the trade, many businessmen find the need to translate into French much more significant now than ever before. French thus becomes a significant language and had to be included in our list. It cannot come as a surprise to anyone that the language that is spoken in UAE, Qatar, Saudi Arabia, Iraq and major portions of Africa has made it to the list. USA Translate has a clear and well- developed understanding of the reasons why Arabic is one of the most important languages. Arabic is the religious language of the third biggest religion in the world, Islam. It is also the language that is spoken by all the Middle Eastern businessmen that operate in the west. 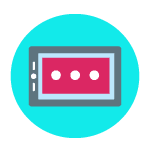 Many western businesses have a never ending need to get their content presented to an Arab audience for various reasons and many of them need Arab translators for this reason. This is because despite all the governmental tension, Western interaction with the Arab world is bafflingly strong. Many Arabs are educated in the West and various westerners come and live in Arab countries for the rest of their lives. This shows in the way that they deal with their Arab counterparts and the fact that an incredible number of westerners are fluent speakers of Arabic. There is also a significant media presence in Arabic all across globe. Their movies, stories, rams and singer is world renown and have an incredibly strong fan base. As they are strong consumers of the international products, launching your product in their region with Arabic as the means of branding will get you a business profit for sure. All the major outlets in the west have strong hold in Arab countries because the consumer market of the Arab nation has always been very strong and worthy of dipping into. 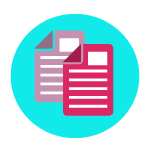 As a business looking to expand into this part of the world you will need accurate document translation services at fair rates, and this is where you’ll need us! 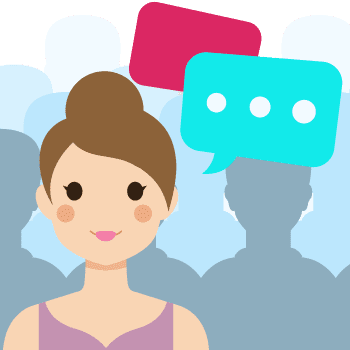 If you are looking for a translation agency which should be able to provide you the best translation services, you have landed on the right page. 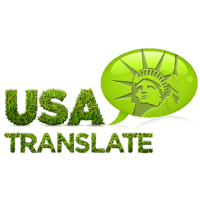 We are delighted to have you on our website; we are USA Translate, the leading service provider in business. How could we prove to you the phrase that we are the best? This can happen as soon as you set your first order with us. We will make sure that the quality is high enough to bring you back for more work. The most encouraging thing we can let you know about us is that you will find us deliver exceptional quality in all kinds of translations. We want to let you know that our work is beyond compare among the industry. USA Translate is not only a translation agency which provides high-quality translations but it is evident that we make sure that we meet all the needs of our clients. Our project managers keep the client updated with the tasks. 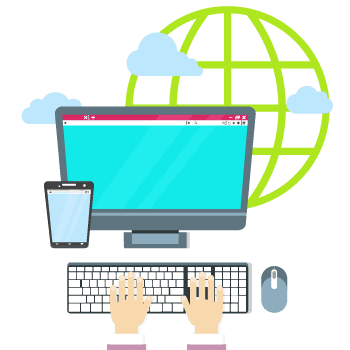 Our effective translation management software keeps the workflow manageable and fast, this way our clients are also able to communicate with our translators while they are working on the tasks. The best part is the low prices that we practice at our agency. We work with really inexpensive rates. This is not because we offer you anything less than other agencies, this is because we maintain our price standards and work standards. These rates are fixed and our services get better with each client. It is our firm belief that every new client is an opportunity for us to improve our work. Our company understands that there is always room for improvement and we try to add more to our perfection. This is something which makes us different than other agencies. We proudly boast about the fact that we deliver the best translation services for business and still we love to work and improve our standards more. Translation for business is among our specialized services. We have been serving numerous clients looking for translation and localization for a long time now. This has become one of the specialties of USA Translate, we are really proud of our teams which work out the assignments carefully no matter if the task is large or small. 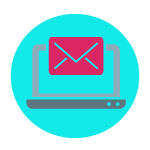 We are the best to translate from and into the most important languages no matter if it’s legal documents, marketing materials or your website!